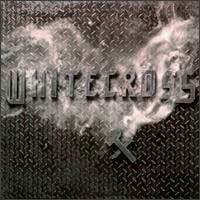 Whitecross formed in Chicago in 1986, releasing their self-titled heavy metal EP. 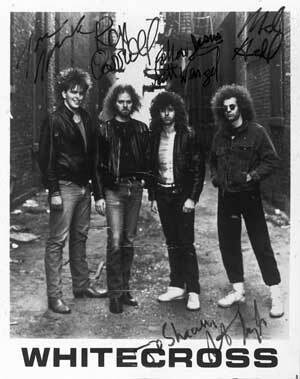 Regular lineup changes plagued the group virtually from its inception, but the duo of vocalist Scott Wenzel and guitarist Rex Carroll remained constant until 1993 when Rex Carroll split to form King James with two ex-Stryper members. After Rex left, Whitecross continued with just Scott Wenzel, but without Rex it wasn't Whitecross! 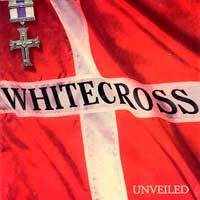 Whitecross' debut was a blast in 1987. Back then I was a new Christian and there weren't a whole lot of Christian bands, save for Bloodgood and Stryper. Whitecross were a bit more raw sounding than either of those bands, taking on a sound not unlike the first Ratt album. This is especially true of vocalist Scott Wenzel whose raspy vox parallel those of Stephen Pearcy. Perhaps by today's metal standards this disc would be considered light in comparison, but I still enjoy listening to it two decades later. "Enough 'nuff, enough is enough, no more white lies it's time to hang tough..." There is just too much fun to be had here! 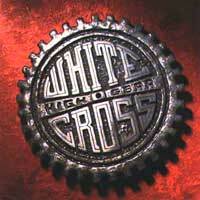 As with every Whitecross album up until about 1993, the band's debut featured a blazin' guitar instrumental. The instrumental on this album is titled "Nagasake" and is heavily inspired by Eddie Van Halen. Another trend that would unfortunately follow the band is the ballad. While I can relate to the lyrics in the band's ballads, the music is out of place and just doesn't seem to flow with the rest of the album. 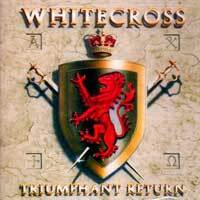 Other than that minor complaint, Whitecross is a classic of the Christian metal genre. 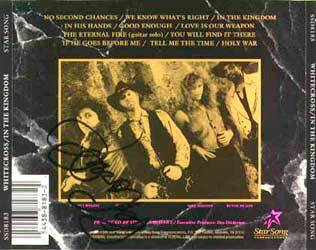 This disc was originally released on the independent Pure Metal label that was later purchased by Star Song. 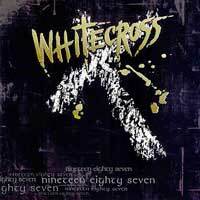 Whitecross is now out of print and is a hot commodity on eBay. At the beginning of the instrumental "Nagasake" there are some faint mumbling that if played in reverse state, "Trust in the Lord, Trust in the Lord". 1. "Love on the Line"
3. "No Way I'm Going Down"
An original cassette copy of the band's first EP. This particular album has yet to see the light of day on CD, at least in Europe and America. I have read that it was released as bonus tracks on the Japanese version of the debut. In anycase, two of the four tracks here are from for the band's full length debut. Of the two new songs, "Love on the Line" is a prime Whitecross heavy metal number. The other track, "I Believe," is a blues based rocker with Rex Carroll taking over lead vocals for the first (an only?) time in Whitecross' history. Whitecross' "Hammer & Nail" is a classic heavy metal platter. Rex Carroll is a total shred-head. Scott Wenzel has a cool, raspy, heavy metal voice. On "Hammer & Nail" they still sound a bit like Ratt. Lots of catchy songs on this one as well. 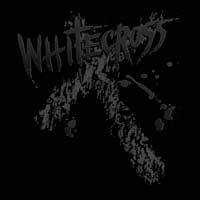 Whitecross' third full length disc continues in the LA heavy metal tradition, sounding like a mixture of Ratt and Whitesnake. With each album Whitecross continues to improve in the song writing department. Of course as is the trend with Rex Carroll, there is the obligatory guitar solo "Flashpoint." "Simple Man" is an acoustic ballad with Rex Carroll taking over lead vocals. "Red Light" sounds like something off of Ratt's "Out of the Cellar." Overall, one of Whitecross' better albums. "Triumphant Return" reached #13 on Billboard's Top Contemporary Christian Albums charts and won a Dove Award for Heavy Metal Album of the Year in 1989. 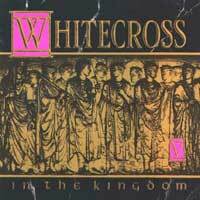 By this time Whitecross were no longer a heavy metal band, but were forced into a pop-metal direction by their label. It worked for them at the time as this album scored a Dove Award as well as several awards from readers polls in magazines like CCM and Heaven's Metal. Rex Carroll's signature guitar solos still penetrated every song, and like every past Whitecross album, there is the obligatory guitar solo ("The Eternal Fire"). Despite the direction Whitecross decided to take, their music still was well played and contained enough crunch to appease the older fans. There are loads of 'guest' musicians on this disc including former Outlaws bassist Rick Cua, who actually performs all the bass on this disc. Christian rappers D.O.C. lend a hand in the rap-rock anthem "Holy War." Also on hand to do some background vocals was Rez's Glenn Kaiser and Sacred Warrior's Rey Perra and Steve Watkins. My copy is autographed by Rex Carroll. I sort of gave up on Whitecross at this point. I was really wanting heavy metal and Whitecross were being forced more and more into pop terrains that didn't peak my interest at the time. However, I still purchased "High Gear" as a new release and enjoyed it from time to time, even if it wasn't what I was hoping for. Songs like the title cut, "Dancin' in Heaven" and "Long Road to Walk" are actually good, catchy songs. Also what would a Whitecross album be without the mandatory Rex Carroll guitar solo, this time titled "Overdrive". In reality, "High Gear" wasn't a bad release. I just think the problem was that Star Song was pushing Scott and Rex to make radio singles and what they did was to strip Whitecross of their signature sound. Scott Wenzel's distinct voice is still present and Rex is still the man behind the axe, but the songwriting and production were just a bit to slick for this long time fan. Unfortunately, this would be the last album to feature Rex Carroll, who was not only the bands guitarist, but their co-founder and their main song writer. In reality, this should have been the last Whitecross album. Rex went on to form King James as well as release a few solo albums. Scott also recorded a couple solo albums and continued to carry the banner for Whitecross taking the band into even poppier territories. This was the CD that unveiled the "new" Whitecross after the departure of Rex Carroll from the band. Without Rex, cofounder and main songwriter for Whitecross, this album really should have been released under a different name. Scott Wenzel never could capture the Whitecross sound on his own. Whitecross will forever be known as Rex and Scott not matter how many albums they put out without Rex. However, for a melodic rock album, this really isn't too bad. "Home in Heaven" is an excellent song. "Angel's Disguise" sounds like a typical Whitecross ballad. "I Keep Praying" is actually one of Whitecross' better ballads, although I thought it kind of odd that there are two ballads in a row. Still this song is a perfect CCM single. "Come Into the Light" has a nice groove and a heavy guitar crunch. "Groove" is a short funky bass and drum instrumental that sounds like an unfinished song and acts as an opening to the next track. "King of Angels" is a smokin' rocker that sounds like a song that actually could have fit on "High Gear" or "In the Kingdom". This song even includes some guitar shredding on the outro of the song. Likewise, "Right Before Your Eyes" doesn't stray far from the radio rock of the last couple of Whitecross platters. All things taken into consideration and despite the fact that this isn't the heavy metal that Whitecross are known for this is a decent rock 'n' roll CD. I also like the cover quite a bit. 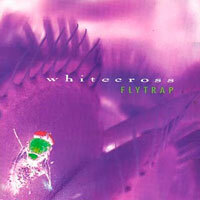 "Flytrap" is the eighth full-length studio album from Whitecross but is really a Whitecross album in name only. First of all, Scott Wenzel is the only remaining original member, the band going through more band members than Spinal Tap went through drummers. Secondly, the music is some sort of mixture of grunge and alternative rock, which sounds nothing like the classic Whitecross material. Like it or not, this should not have been released as a Whitecross album, but rather a Scott Wenzel solo album or under a completely different band name. Of course Scott is not necessarily a guitar player, so he surrounds himself with excellent musicians such as guitarist Quinton Gibson (Seraiah) and producer David Zaffiro (Bloodgood). 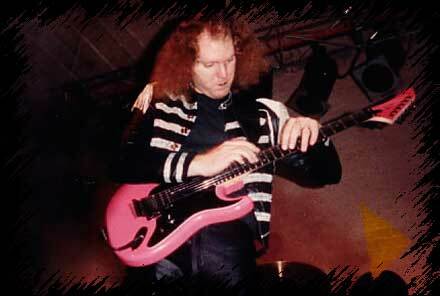 However, one of the trademarks of Whitecross was the guitar playing of Rex Carroll. Had Quinton been able to unleash a few choice solos, "Flytrap" may have had a bit more zip. As it stands, even after a couple listens, I can't even remember if there was a guitar solo. The music is mostly mellow with acoustic guitars being the most prominent. Much of this album is what I would describe as ballads. That's not to say it's all bad, however. "Eye to Eye" is one of ballads on the album and is actually one of the best ballads in the Whitescross catalog. I've always maintained that their ballads were their weak point, but this song is quite strong. "End of the Line" is the follow-up track and is also a ballad, though a blues based song that reminds me of 90's Aerosmith. "Already Done" is another acoustic based ballad. Of the more upbeat material, album opener "Get Real" would be the heaviest, but also mixes in quite a bit of acoustic guitars. The song is, uhhhhh, terrible. "Say A Prayer" is a happy, upbeat song that blends acoustic guitars and electric guitars. "Rev. 7" is some sort of hip-hop, scripture based interlude that acts as an intro to "When He Comes", another grunge based rock number, that blends acoustic guitars with electric. As stated earlier, the entire album seems to have an acoustic guitar as it's basis. "Refuse to Lose" is a blues-based hard rock song, and though it still has that downtuned, grunge production, is still a decent song. Overall, I find "Flytrap" to be a mellow album with very little charisma. In my opinion, it doesn't have the charismatic charm that the Rex Carroll years had. There are a few bright moments, but overall it's rather dull. File with later releases from Guardian, Holy Soldier and any other 80's rock and metal band that took a stab at the grunge/alternative cat. At one time in my life I was a Whitecross fanatic. I stumbled across this band in a small Christian book store in Rochester, NY when their first album had just been released on Pure Metal Records. The band was an infectious mixture of Rex Carroll's guitar wizardry and the gritty vocals of Scott Wenzel. When the two parted ways and Whitecross continued on with just Scott Wenzel, a lot of the magic was gone and my interest wained. Regardless if anyone likes the post-Rex material, it is a stone cold fact that without him the band made radical changes to their sound and style. 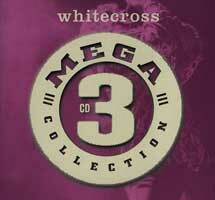 "Mega 3 Collection" is a 3-disc collection that collects three disc from those post-Rex years. Disc one is probably the best album from those years, "Unveiled". Though the album doesn't sound like earlier Whitecross album it is still a quality mix of melodic heavy metal and hard rock. "King of Angels" is easily one of the best songs from this era of Whitecross. (I'd actually love to hear this song resurrected with the reformed Rex/Scott line-up.) "Goodbye Cruel World" is an excellent song with a nice groove. As well, "I Keep Praying" is one of Whitecross' better ballads from any era. For a more detailed review, see the "Unveiled" review above. Disc two is the "One More Encore" compilation. I'm not sure why the powers that be at Light Records felt it was necessary to include this compilation rather than including "Flytrap". "One More Encore" is a 'best of' collection of Unveiled, Equilibrium, and Flytrap with the addition of the "No Second Chances" remake. I'm not sure who chose the songs for this compilation. It sounds as if all the songs from these three albums were thrown into a hat and picked out one at a time. Otherwise songs like "King of Angels" would have been included. Not only is it a fan favorite, but it is one of the best songs from the post-Rex Whitecross years. I suppose that the compilation does give the listener a good mix of the three albums, but in this 3-disc collection it's unnecessary, especially since several of these songs are on discs one and three. The remake of "No Second Chances" is interesting but also unnecessary. The original version was an upbeat, traditional heavy metal number. The new version attempts to make the song into a modern, alternative rock song. If it sounds like a bad idea, it is. Disc three is the complete "Equilibrium" album. 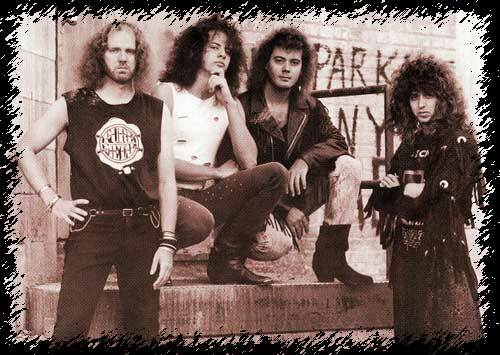 This version of the band featured bassist Tracy Ferrie who went on to join Stryper for a spell after their reunion. Guitarist Barry Graul is a member of Contemporary Christian band Mercy Me. "Equilibrium" was Scott Wenzel's stab at the grunge cat. Released in 1995, grunge and alternative rock were the rage. Scott attempts to morph this sound into the Whitecross sound, right down to his low-key yarl in his vocals and the depression in the music. The majority of the music takes it'scues from bands like Stone Temple Pilots and Pearl Jam. However, there are moments when some of Whitecross' own personality shines through such as on the upbeat "Collide" where Scott belts out some of those higher range vocals. I also found the acoustic guitar driven "Falling Star" to be a dynamic and enjoyable song despite it's modern rock leanings. "The Balance"and "Now" sound like they could be S.T.P. songs, save fore Scott's distinctive voice. (Man, 1990's popular music just sucked!) "Plowed Me Down" is a bass driven song that almost sounds like Whitecross if the guitars would have been out in front a bit more. Guitarist Barry Graul sings lead vocals on the mid-paced modern rock song "Full Crucifixion". The album is ended with a mundane, 90's-style ballad with Scott Wenzel once again doing his best grunge yarl for the verses. One thing can be said of this era of Whitecross is that they always maintained their Christian faith-based lyrics. However, "Equilibrium" can be filed with Def Leppard's "Slang", Guardian's "Bottle Rocket", and any other 80's heavy metal band that attempted to alter their sound in order to 'stay relavant' in the mid-90's. The packaging for this 'box set' is cheap. The generic cover indicates that the release is a 'budget' re-release. It includes a 4-page insert with no lyrics or photos and none of the original liner notes. 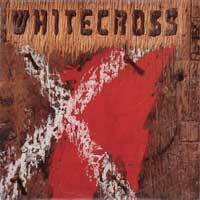 Whitecross' debut holds a ton of nostalgic value for me. The original recording in all it's gritty, raunchy, Christian metal glory is unreplaceable for this fan. However, there is no denying the production quality of that release was subpar. Well in 2005, the mainmen behind the original Whitecross got together to re-record their classic debut. As with the original, it's Rex's firey, Van Halen inspired axe work that stands out. Of course the man has refined his skill over the years, so the guitar work here is no doubt a bit better than the original. Scott Wenzel is singing in a bit lower key here than on the original. This may be due to the slight downtuning of the guitars from E to Eflat. I can't be 100% sure of this, but it sure sounds that way to me. This actually gives the songs a heavier, crunchier sound. Songs like "Enough Is Enough" and "Signs of the Time" are given a new life, despite the obvious 80's writing style. (Which I happen to love.) On top of the original songs, there is also a newly recorded version of "Love on the Line", a forgotten gem from the band's EP of the same name. This song has a killer, slow, heavy, groove to it. Even the lone new track "Re-Animate," fits on the disc rather nicely. Though this track is an instrumental guitar solo, it sounds as if it could have easily appeared on the original debut release from almost 20 years ago. After all, it was a trademark of Whitecross for all of the Rex Carroll years to include an instrumental guitar solo. One thing that I think is noticeable is that furocious attitude isn't the same here as on the original. Sure, the production quality was abysmal on the original, but the bands hunger and charisam shown through regardless. That same attitude is not present here. One other negative for some might be that "You're Mine" was left off the rerecording. This never was one of my favorite songs, so it's not a big deal for me, but I still wonder why it was left off. Perhaps the band agreed with my review (above) of their debut that the song just didn't fit in with the overall vibe of the album. Despite these minor negatives and my nostalgic bias, I feel the band improved upon the original recording and have release a CD that will see plenty of spin time for this longtime fan. The bonus tracks are the uncut endings to the songs listed. The original versions of the songs fade out at the end with Rex shredding away. The bonus cuts allow you to hear the entire solo. "Love on the Line" is particularly cool as it ends with a small bit of Black Sabbath's "Iron Man."